I Spy With My Little Eye – Uniquely Yours… or Mine! Something that looks like THIS!!! It’s VERY large, as in it will not fit into the back of my Yukon large! It’s pricier than my “usual” purchases, not that it’s not worth it! 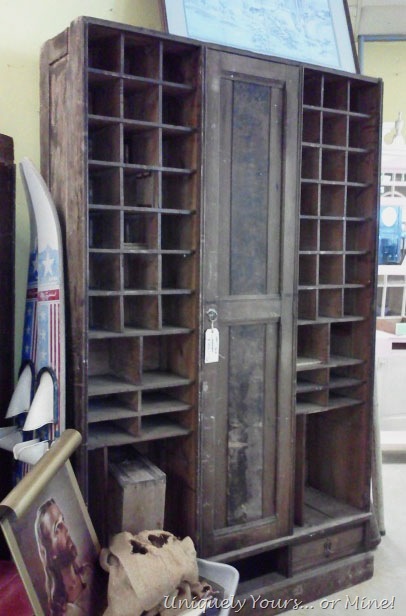 I think the piece used to be a mail sorter of some kind as there are still names penciled on the wood cross pieces…. By the way the side doors that go with this piece are sitting behind it, but I really like the sides open and I can always use the doors to repair some of the missing pieces if necessary! Anyway, I wasn’t planning on getting anything like this, but then again I have NEVER seen anything like it! Since I couldn’t take it home with me it is still sitting in the store until I can get it here… now the pressing issue is where in the HECK am I going to put it? Wish me luck and thanks for stopping by… until next time! No, you KEEP THIS and never look back on selling that oak chest you were fretting over this morning! Shoot, I’d help you with this piece — it’s a real statement! Hmmm… I’m thinking you are right.. Volunteer huh? Nice! I love this piece. I can’t be;ieve how big it is though. I was thinking the exact same thing yesterday afternoon when I saw it. It is huge, and it IS rough, but it also is totally COOL! At the price, I’d leave it for someone else. I didn’t know you were coming to town! Hope all is well with you! I bought the piece yesterday morning… Yikes! I hope I can fix it up! It would never leave my sight again if I found it. it is so cool, I wouldn’t be able to part with it! I love, love cubby holes, just think of all the things you put in it! I know… I’m looking around the house now! There has to be a place… Trust me I’m trying.. Thanks for your note! I know.. I think your are right! Thanks for your input! It’s such a unique one-of-a-kind find. I’d think long and hard before letting it go! love, love, love all the slots…..i’d have to think twice also, but not for long. You can always sell it, but if you hadn’t gotten it, you would always wish you would’ve!!!! 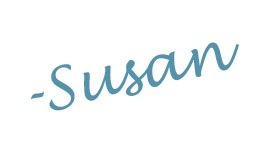 I know how you feel Susan! This is such a unique piece and can imagine what it will look like after you finish with it! I’d have my measuring tape walking around the house looking for space, too! Check out my recent post on “window shopping”; from Craigslist. lol Loads of photos of great finds, especially the freebies. Have a good weekend. KEEP IT! I love it and while I never get aggressive while shopping, I might have for this piece-lol!! Did you buy the portrait of Jesus too? OMG – this is a definite keeper – get rid of something else!!!!!!!!! I am so in love with this – it’s straight out of Restoration Hardware! I saw this piece….but I won’t disclose where and thought someone needs to take this home-but it can’t be me (for all the reasons you noted). I was suprised at how long it sat in the store and now I see it found a home. SO GLAD-I know it will look amazing when you are done working your magic. Love it! please don’t paint it!